What is a game? Merriam-Webster dictionary defines a game as “an activity engaged in for diversion or amusement.” Wikipedia’s definition is: “A game is a form of play or sport, esp. a competitive one played according to rules and decided by skill, strength, or luck.” Now-a-days, games can come in many different varieties. There are sports, backyard games, board games, video games, card games, and many others. When we talk about game design, we usually don’t mean sports. With that in mind, we’ll be ignoring sports and focusing on board games, card games, and video games. We know what a game is, so why would someone want to play a game at all? Based on a theory created by Mark Rosewater and studied by Mark and other members of the company named Wizards of the Coast, there are three psychographic profiles of those who play the game Magic: the Gathering. The idea of a psychographic profile is that you isolate different personality traits and behaviors so that you can understand what motivates a particular type of person to act in a certain way. Obviously, most people will play games to get some sort of enjoyment out of it, but how people get enjoyment differs between players. Wizards of the Coast and more specifically, Mr. Rosewater have categorized Magic: the Gathering players into three different psychographic profiles. These profiles were made for Magic: the Gathering, but can they be used to understand why someone would play any game? I contend that, yes, they can. The three profiles have names, Timmy (or Tammy), Johnny (or Jenny), and Spike. Fun varies from player to player so there are also several subgroups to each profile. The first profile, Timmy, plays games to experience something. Timmy plays a game because he enjoys the feelings he gets when he plays. For Timmy, winning and losing really isn’t the point, the reason to play is to have a good time. So for any game, a Timmy would love the fun experiences and interactions the game produces. If Timmy was playing a Role-Playing Game (RPG), he would probably play as a strong fighter or a mage with powerful destruction spells. Timmy would play a First Person Shooter(FPS) for the thrill of the battle and not to get trophies or a higher rank on the leaderboard. Of the subgroups of Timmy, there is the Power Gamer. In a card game like Magic, the power gamer loves to play big creatures and big spells, he associates power with fun. Play big creatures and deal massive damage, that’s the Power Gamer’s strategy. The Power Gamer would be the barbarian, fighter, or mage, anything that wants to deal a lot of damage and ‘beating face’ in an RPG. In a Multiplayer Online Battle Arena (MOBA) or similar game, a Power Gamer would choose a characters who focuses on high Damage-Per-Second (DPS). There is another subgroup of Timmy, the Social Gamer. As the name implies, this is the player who plays games only as a means to interact with their friends. These are the players who like social games such as Pictionary, In a Pickle, or Dirty Minds. If a Social Gamer plays a video game, it will most likely be an online game to enjoy time with their friends. The Sims, which is essentially a social interactions simulator, is a game that also would draw the attention of a Social Gamer. The third subgroup of Timmy is the Adrenaline Gamer. As Mark Rosewater put it; “Adrenaline Gamer Timmy likes flying by the seat of his pants. He enjoys the rush of adapting to the unpredictable. 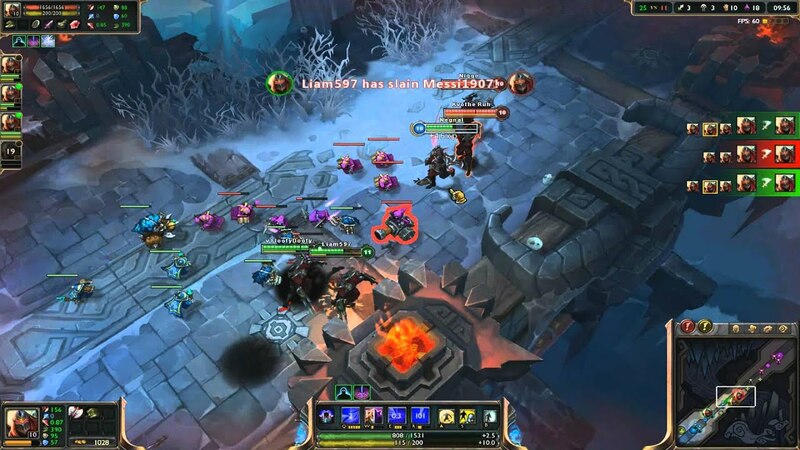 As a result, Adrenaline Gamer Timmy is drawn to decks and formats that allow every game to be as different from the last as possible.” The popular MOBA League of Legends has a game mode called ARAM, All Random All Mid. The concept of an ARAM is to have every player play as a random character and there is only one lane for characters to move. This creates a lot of large-scale Player vs Player conflict and creates the variance and craziness in gameplay that the Adrenaline Gamer enjoys. In an RPG or FPS, the Adrenaline Gamers will likely be drawn to weapons and skills they haven’t played before, having a jack-of-all-trades character or starting over frequently. Next, we move onto the next psychographic profile, Johnny. Johnny plays because he wants to express something. To play a game is to show the world something about you. If Johnny played an RPG, he would most likely be a character with a cool concept. For example, in Skyrim, he might be a conjuration mage who also focuses on dual wielding weapons. If Johnny plays a fighting game, he might only like playing one character because he found a really cool looking combo that may or may not kill his opponent if it lands. As with Timmy, there are subgroups to Johnny. The first two are the Combo Players and the Offbeat Designers. In Magic: the Gathering, Johnny Combo Player is out to make combinations no one else has, he is drawn to cards that can have a deck built around it. Combo Players are the players who have the ‘look what I can do’ feel about them. They look for pieces of a game that haven’t been used in a certain way, and try to use them for something bigger than what it is. For example, they will try to exploit a bug where you can pass through a wall to be the fastest speed runner. An Offbeat Designer is similar to the Combo Player but instead of building a Magic deck around a single card, he will build around a concept. The examples Mark Rosewater gave are “What if the deck only had lands? What if the deck never played permanents? What if the deck stole every card played by the opponent?” Offbeat Designers are harder to find outside of customizable games, but it is possible. The player who only uses a knife in an FPS? That could be an Offbeat Designer. The player getting kills with a healing or support focused character? That could be an Offbeat Designer. 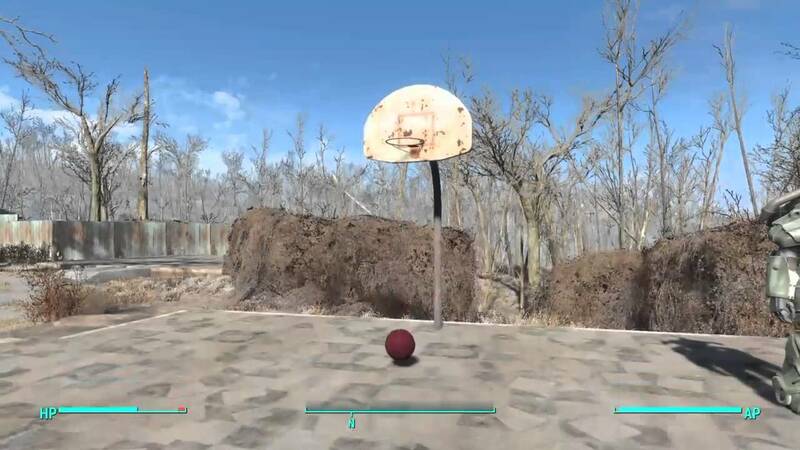 That player who tries to play basketball in Fallout 4? You guessed it; that could be an Offbeat Designer. Lastly with Johnny, I will mention Uber Johnnies. In Magic: the Gathering, an Uber Johnny makes a deck trying to use cards that most players write off as terrible or useless. They try to do what others have said before is undoable. An Uber Johnny in a fighting game or MOBA might take a character that everyone wrote off as terrible and try to make it good or, in an FPS, they try to use ‘the worst gun’ just to prove that it can be useable. The last psychographic profile is Spike. Spike plays to prove something, usually to prove how good he is at the game. Spike will play a game and try to get every trophy, be at the top of the leaderboard, or complete 100% of a game’s content. If you are a professional player of a game, you are most likely a Spike. Like Timmy and Johnny, Spike has subgroups, but his subgroups are just his focus of attention on one area of a game. The first subgroup of Spike is the Innovators. In Magic: the Gathering, the Innovator Spike is able to accurately judge the power level of new cards. They search for the next over-powered combo, they want to create the next top tier deck in the metagame, and they want credit for it. This applies to other games; A new character in a MOBA will be judged in the same way. These are also the people who play fantasy sports, like fantasy football, while learning the little theories and mechanics some people don’t know about or don’t understand. After the Innovators are the Tuners. This group doesn’t innovate, but they take the decks and concepts made by the Innovators and try to make it better. While very similar to the Innovators, the Tuners deserve their own subgroup. The next subgroup of Spike is the Analyst. The Analyst Spike looks at the current metagame and tries to win by creating the deck, or find the best character to build, in order to beat what most other players will be playing. He tries to find the weaknesses in the most common strategies and exploit them. This type of Spike is seen in most parallel with competitive games that have a metagame, like a fighting game, Real-Time Strategies (RTSs) like Starcraft, or a MOBA like League of Legends. The last subgroup of Spike is the Nuts and Bolts Spike. The Nuts and Bolts Spike moves past the metagame and focuses on perfecting his own gameplay. When he plays, he is always trying to improve his ability to play the game, rather than tuning his deck or trying different characters or factions. 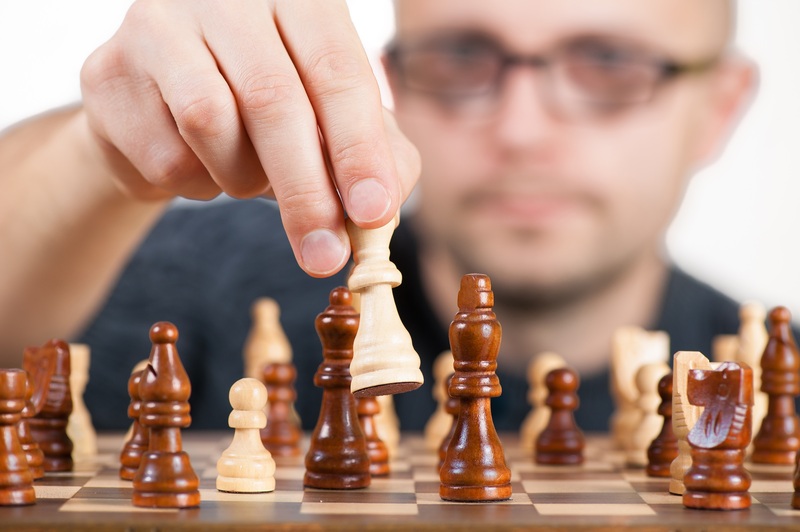 Nuts and Bolts will enjoy chess and other classic games that can be perfected by memorizing strategies and thinking steps ahead. We understand why people play games, so why would anyone want to play your game? Have you thought about who you are making it for? Have you made pieces that will attract the psychographics? Understanding why people play games is the first step to knowing your target audience, and the first step to your game’s success. If you want to appeal to Timmy, give your game variance and big events. Have a random mechanic; give it a dice roll, a shuffled deck, or critical hits. Timmies also wants to do big things, let them deal massive damage or drastically change the tide of the game. If you want to appeal to Johnny, give your game hidden strategies and make it customizable if you can. Let Johnny discover something that isn’t in a tutorial or rule book, and let him make it his own in some way. If you want to appeal to Spike, make your game skillful. Give your game many strategies to achieve victory and try to avoid the game’s ending decided by your random mechanic. Let skill trump randomness. Can you do it? It seems like what Timmy wants and what Spike wants contradict each other, and it looks like Johnny doesn’t fit into every game. If this sounds difficult or like a lot to think about, it’s because it is. Game design isn’t easy and if you want to make a good game, you need to put in a lot of time, energy, thought, and care. But if you dedicate enough resources to it, I bet anyone would want to play your game.